Turn on the news. Full of fear mongering, the disaster of the day, or what is wrong in our world, it can leave even the most grounded of us, grasping for some stability. We can all get caught in searching for things externally that can bring us some temporary relief or sense of pleasure. What if we realized we were already able to experience the deep contentment we desire and a deep sense of connection without looking anywhere outside of ourselves? 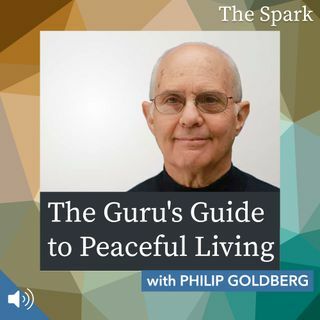 Author, public speaker, and ordained ... See More Interfaith Minister Philip Goldberg joins me on this episode of The Spark for an enlightening dive into our inner self and how we can find clarity and resiliency in our ever-changing and often challenging world.